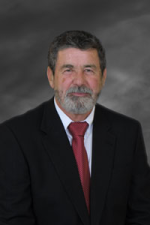 Albert Kirkland was elected to the Dothan City Commission District 3 seat in a Special Election on February 8, 2011.He is a 1966 graduate of Cottonwood High School and attended Wallace Community College. He was raised on a small farm in Cottonwood where hard work was a way of life. After graduating from high school and while attending Wallace Community College, Kirkland began working in the construction business.After many years of working for other home building companies, he started his own construction company in 1986.For the past 24 years, Albert Kirkland Construction Company has built homes that families of this area can be proud of. Kirkland is married to Starla Dowling Kirkland. Starla is a Dothan realtor with Coldwell Banker Alfred Saliba Realty.He has two sons, Todd Kirkland and Taylor Kirkland, and three grandchildren.His mother, Essie Mae Kirkland, and many of his 10 siblings still live in Cottonwood.